Salt (sodium chloride or halite), for details of the chemistry of Salt see https://en.m.wikipedia.org/wiki/Salt_(chemistry), has been the focus of human interest for thousands of years. It has been much sought after and traded since humans first realised its value. But there is much more to salt than simply an added taste at the dinner table. Salt is a common substance, chemically consisting mainly of sodium chloride ( NaCl) used extensively as a condiment and preservative while sulphate is (organic chemistry) any ester of sulphuric acid. The earliest known treatise on pharmacology was published in China. This was the Peng-Tzao-Kan-Mu published in China about 4,700 years ago and it revealed within it descriptions of two methods of extracting salt and transferring it into usable form, processes that are very similar to ones used today. A major portion of this writing is devoted to a discussion of more than 40 kinds of salt, including descriptions of two methods of salt extraction that are similar to processes used today. Humans have been aware of the precious value of salt for thousands of years. * potassium permanganate has the violet color of permanganate anion. Sulphates have played a major role in the process which led to oxygen forming on Earth, that in turn promoted the growth of photosynthetic life. In an earlier blog I have mentioned tectonic plates. We know that when tectonic plates move, they can alter the amount of oxygen in the atmosphere. There is a relationship between the movements of tectonic plates and the consequential volcanic eruptions and the mineral and sulphate gases which spew out. The chemical reaction is part of the process of creating oxygen. For billions of years the Earth had no oxygen, then suddenly it came into being. Scientists have been trying to pinpoint when the Great Oxidation Event (GOE) occurred. Current thinking is that it was about 2.3-2.4 billion years ago. Sulphates are described at https://en.m.wikipedia.org/wiki/Polyatomic_ion. In a Nature Geoscience paper by scientists at Rice University they commented on what might happen when tectonic plates bump into each other, some sliding underneath another to depths where the temperature is high enough to melt it (subduction) and molten rock rises to form volcanoes at the surface. Those volcanoes can spew gasses into the atmosphere. The researchers suggest melting could have separated molecules of carbon and oxygen in the bodies of microbes long deceased (first life dates to at least 3.5 billion years ago) and settled to the ocean floor as sediments on the subducting plate. This separation could have sent the carbon even deeper into the Earth, for millions or billions of years, and expelled the oxygen out from volcanoes. Plate tectonics and biology are unique to Earth, as far as we know. Many speculate a symbioses between the two, geology and life working in tandem. 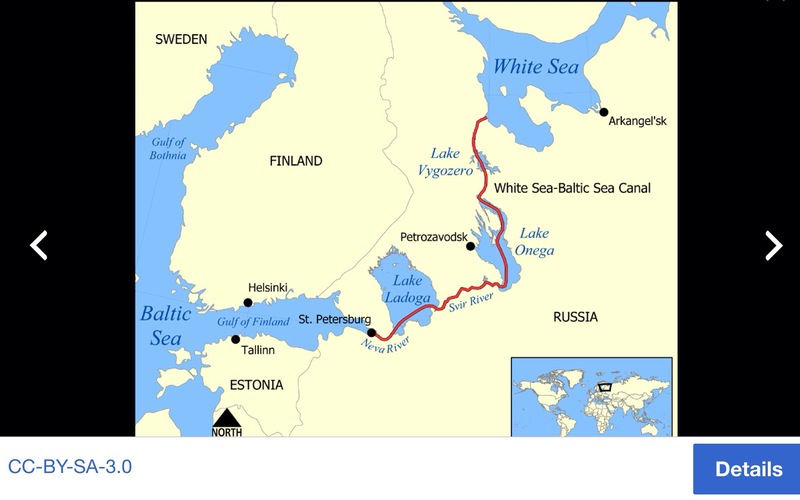 Geologists have discovered preserved salt lying 1.2 miles deep into the earth on the edge of Lake Onega, in western Russia near the border with Finland. This lake’s Geological history is of glacial-tectonic origin and is a small remnant of a larger body of water which existed in this area during an Ice Age. The research teams established the buried salt was 2 billion years old, a first to find pristine salt of such a great age. Somehow this sample, which formed when an ancient sea evaporated, had remained unaltered by any geologic processes that occurred after burial. By using computer models to recreate what the team of researchers found, they were able to identify details about the ancient ocean in which these samples formed, including just how oxidized it was. Salt is indispensable to some living creatures, while also proving deadly for others. The last of the great mammoths died when they found themselves marooned on an island (Saint Paul Island, off the Alaskan coast) as sea levels rose and their fresh water sources became contaminated with salt water. Salt has a myriad of important uses and was once even used as a form of currency in ancient Rome. The relationship between salt and water is perhaps one of the greatest balancing acts in all of nature, a partnership that has endured for millions of years. 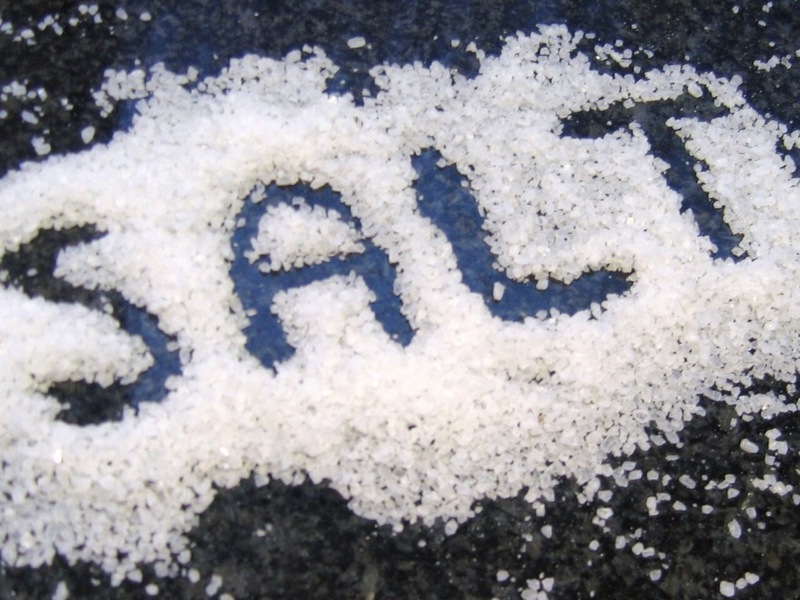 Today, the Mineral Information Institute (MII) reports that about one-fifth of the world’s salt is produced in the United States, with other leading producers including China and Germany. But it is found globally in differing amounts. According to the U.S. Office of Naval Research (ONR), the average ocean salinity is 35 ppt or parts per thousand, which means that for every 1,000 grams of water, there are 35 grams of salt. The ONR also reports that most of the salt in the ocean comes from rain, rivers and streams that wash sodium chloride into larger bodies of water. Other major sources of salt in the ocean include undersea volcanoes and hydrothermal vents. The term “brackish water” refers to bodies of water where freshwater and ocean water mix. In these areas, the average salinity ranges from 0.5 ppt to 17 ppt. If salt water floods agricultural land the soil becomes contaminated by the salt and produce which was growing there, or grass for cattle, will die. Freshwater plants cannot thrive in salt water. The U.S. Department of Agriculture claims that soil salinity is responsible for reducing crop yields by as much as 25 percent in the United States. However, recent developments by the Agricultural Research Service have created new strains of wheatgrass that can withstand higher concentrations of salt by using genetic markers borrowed from saline-resistant plants. Three main things must occur for the young salmon, called a smolt, to prepare for life in the salty ocean. First, it must start drinking a lot of water. Second, the kidneys have to drop their urine production dramatically. Third, and very important, molecular pumps in the cells of the gills have to shift into reverse, pumping sodium out instead of in. All these physiological changes have to change back when then the mature fish re-enters the freshwater river on its way to spawn. The fish will spend a few days in the intertidal zone as these changes are made automatically. The observers of the natural world explain to us how these miracles of body evolution have led to so many species balancing the vital part salt plays in their survival, but also how some creatures cope when when otherwise salt would threaten their existence. The next blog will delve into the threats and opportunities to human existence posed by the ever present sodium chloride in our environment. This entry was posted in Uncategorized and tagged China, Lake Onega, marine life, origins of life, osmoregulator, oxygen, Russia, salination, salt, salt contamination, sulphates. Bookmark the permalink.